The “attack,” coming in the form of Mitt Romney’s comments about the need to de-fund public broadcasting, was based on the recognition that pouring taxpayer money borrowed from China into a U.S. corporation, Sesame Workshop, doesn’t make sense. The controversy not only serves to demonstrate how the “non-profit” entity is making big bucks at the expense of American taxpayers, but how it is working with the Democratic Party, the United Nations and even the Chinese government. Republicans have long recognized the public broadcasting establishment as a political enemy. Before Romney made his comments, the Republican Study Committee (RSC) in the House had proposed eliminating the $445 million annual payment that goes to the Corporation for Public Broadcasting, which finances public TV and radio. The full House had voted 228 – 192 in 2011 for H.R. 1076 to prohibit federal funding of National Public Radio. The bill died in the Senate. Rep. Doug Lamborn, the sponsor of H.R. 1076, also sponsored H.R. 69, a bill to eliminate all federal funding for the Corporation for Public Broadcasting (CPB). On the other side, Democratic Rep. Earl Blumenauer created the Congressional Public Broadcasting Caucus in the 106th Congress to preserve the funding. 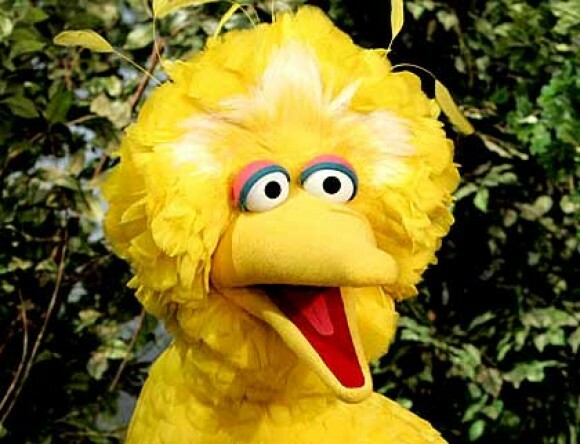 “Perhaps we need Big Bird to educate Governor Romney about the value of public broadcasting and investing in services for the American public instead of coldly shutting them down,” he said in response to Romney’s debate comments. The left-wing Daily Kos said that rallying around Big Bird, the main character on Sesame Street, could turn Obama’s much-criticized debate performance into a win for liberals and Democrats. As a result, characters dressed like Big Bird have started showing up at Republican rallies to protest Romney’s remarks. But Sesame Workshop is a rich corporation whose top executives make hundreds of thousands of dollars a year, and the company maintains investments in controversial hedge funds. Sesame Workshop, which reported revenue of $130,606,413, in 2009, says 35 percent comes from “corporate, foundation and government support.” The latter includes the U.S. Agency for International Development, the Department of Education, the Department of Defense, the U.S. Department of State, the U.S. Department of Health and Human Services, and the National Science Foundation (NSF). Gary Knell, chief operating officer of Sesame Workshop from 2000–2011, made a salary of $684,144. He is now the president and CEO of National Public Radio. Sesame Workshop President and CEO H. Melvin Ming earned a salary of $447,885 in 2009. Direct government grants amounted to $7,968,918. Its Form 990 reported lobbying expenses of $1 million a year, in order to keep the federal dollars flowing. Lobbying is carried out by Tracy Garrett, Director of Government Affairs at Sesame Workshop. Investments include $17,172,065 in a “hedge fund” that is not named, and almost $6 million in “private equity,” similar to the kind of investment fund that Romney used to run. Senator Jim DeMint has pointed out that “From 2003 to 2006, Sesame Street made more than $211 million from toy & consumer product sales” and that it could obviously survive without public funding. Speaking of China, Sesame Workshop not only operates on funds borrowed from China but works directly with the Chinese regime and its communist army. The NSF grant money involves the “One World, One Sky: Big Bird’s Adventure” initiative, designed in part “to foster cross-cultural appreciation between children” and conducted in partnership with the China Youth Development Foundation. On the Chinese end of the relationship, one of the partners is the People’s Liberation Army. As we have previously reported, back in 2001, then-U.N. Secretary-General Kofi Annan appeared on Sesame Street “to help teach children how to resolve conflict.” This was followed, on January 7, 2003, by PBS airing “Kofi Annan: Center of the Storm,” a glowing portrait of Annan and his efforts to “revitalize” the U.N. The Sesame Street Workshop Annual Benefit Gala always draws an assortment of personalities from politics and the media. This year’s event, which was held on May 30, 2012, in New York City, included such figures as “The Daily Show’s” Jon Stewart. The event was designed to honor Bill Clinton, the disgraced and impeached former president. Stewart posed for a picture with him and later featured him on his program, praising Clinton for using “facts” and “numbers that were real” in his speech at the Democratic National Convention. Everyone with any interest in the subject of national security is aware of the looming $500 billion defense cut “sequestration” on January 1, 2013, that was foolishly agreed to by the Republican congressional leadership in exchange for a like sequestration of monies for the Democrats’ signature social welfare programs. Speaker of the House, Rep. John Boehner, and Senate Minority Leader, Sen. Mitch McConnell, entered into this “compromise agreement” with Minority Leader of the House, Rep. Nancy Pelosi, Senate Majority Leader, Sen. Harry Reid, and President Barack Obama in the naïve belief that the Democrats would put the welfare of the nation ahead of election year politics. Both sides of the political aisle are locked into their respective positions by their parties’ political bases that are adamant against compromise. Consequently, the dreaded sequestration of “equal cutting” of $500 billion each from defense spending (20% of national budget) and social welfare expenditures (54% of national budget) becomes more certain by the day. Now, here is where the plot thickens as President Obama is employing the Office of Management and Budget (OMB) and the Department of Labor (DOL) to evade the law as specified in the Worker Adjustment and Retraining Notification (WARN) Act. So, how is the president attempting to elude federal labor law? One of the primary provisions of WARN calls for an employer to provide written notice of “plant closings” and/or “mass layoffs” to affected employees at least 60 days in advance of the effective date when any adverse personnel actions would be initiated. The law OMB wants companies to ignore is the WARN (“Worker Adjustment and Retraining Notification”) Act. Central among its provisions is the requirement that employers provide written notice to their employees of “plant closings” and “mass layoffs” affecting them at least 60 days in advance. I thought that, as the nation’s chief law enforcement officer, the president’s duty was to uphold the laws passed by congress?! 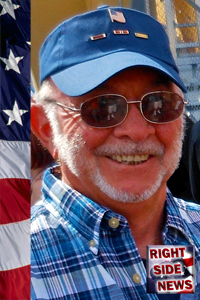 Col. Thomas Snodgrass, USAF (retired), is Director of Military Affairs for The Society of Americans for National Existence (SANE) and was adjunct professor of history at Embry-Riddle Aeronautical University, Prescott, AZ campus. Meeting about intolerance and discrimination against Christians and members of other religions. Speech of David ERZET, President of the Belgian Association NONALI and Belgian Representative of the Organisation I.C.L.A. .(International Civil Liberties Alliance). The text of the speech is avalaible on the bottom on this page. Many others videos are also available on the website of ICLA-BELGIUM : www.icla-belgique.com or on the website of ICLA International: www.libertiesalliance.org. That word is “Islamophobia”.We ask for the removal of the ambiguity with regard to this word because many organisations are using it as a tool to victimise and demonise those with whom they disagree. In the absence of clarification, we ask that the use of this expression is banned by the assembly. This prohibition is logical if we consider that the word “Islamophobia” is never used by the OSCE which uses the term “intolerance against Islam,” while some associations continue to use that word.I remind members of the OSCE that a phobia is a mental illness. The practice of suppressing freedom of expression by characterizing it as mental illness is reminiscent of the techniques practiced in the USSR under Brezhnev when opponents deemed mentally ill were subject to arbitrary detention. The International Civil Liberties Alliance-the-ICLA is keen to ensure that freedom of religion is respected and is extremely concerned about the discrimination and even violence that is people endure for religious reasons. We therefore request that the OSCE, and particularly the representative of my country, Belgium, implement appropriate measures to prevent the dissemination of texts containing incitement to discrimination or violence, in the form of books, journals and other publications on paper or through internet. With regard to Belgium, it is intolerable that religious centers or libraries spread openly and with impunity publications whose content clearly incites discrimination, hatred and violence against individuals for their membership or non-membership a religion, or against those with people on grounds of their sexuality. We ask Belgium for strict application of its laws.Our organization is at the disposal of the OSCE, especially the Belgian representative, in providing a list of offenses of incitement to hatred and discrimination found in Belgium and the places where they can be found. 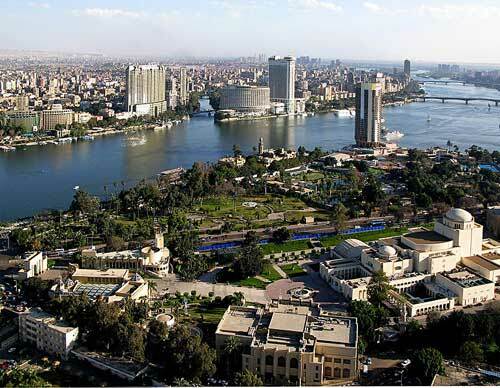 Cairo, Capital City of Egypt. The Cairo Declaration on Human Rights in Islam was adopted in 1990. The following video is from our side event at the recent OSCE meeting in Warsaw. Elisabeth Sabaditsch-Wolff begins by introducing the International Civil Liberties Alliance (ICLA) and then hands over to ICLA Chairman Alain Wagner. Alain highlights the content and implications of the Cairo Declaration of Human Rights in Islam and explains why it really has nothing to do with what most people understand by the term ‘human rights’. He explains how there are now effectively two approaches to human rights that contradict one another running in parallel in the world today. There is the United Nations Universal Declaration of Human Rights and there is the Cairo Declaration of Human Rights in Islam. Only one actually serves to protect human rights as they are traditionally understood. The Universal Declaration represents this traditional view and the Cairo Declaration is effectively a tool to subvert it. The Cairo Declaration subordinates human rights to sharia and as such it is actually an anti-human rights document. It might talk about human rights but does nothing meaningful to guarantee them. The Cairo Declaration is not a document to protect human rights; it is a document to facilitate the expansion of sharia. Unfortunately Western leaders take the OIC seriously and conspire with it to undermine freedom and democracy in the West. They pretend that the OIC actually has a valuable contribution to make in the field of human rights. As a result we are confronted by the farce of brutal OIC member states lecturing the world on human rights. Alain hands back over to Elisabeth who provides a brief outline of the 2012 Brussels Declaration To Safeguard Individual Liberties and Human Rights and the associated Brussels Process. Educate and inform the public to ensure that laws that undermine our freedoms are repeals and laws that enhance it are enacted. Demonstrate that sharia compliance is against human rights and should not be embraced when human rights decisions are being made. Encourage human rights practitioners to consider rulings such as that made by the European Court of Human Rights in 2003 which said that Sharia is incompatible with democracy. Create a framework for individuals and organisations to stand up and protect liberty from the sharia threat. 2012 Brussels Process PDF on OSCE website.